LAM Group has filed for permits for the 38-storey hotel it is developing in NoMad, New York that will bear the Virgin brand. The application was filed with New York City’s Department of Buildings and calls for a tower that is approximately 400,000 square feet. The building will include 447 hotel rooms – including two duplexes on the 34th and 35th floors – and 100,000 square feet of retail space, currently on the market at the behest of Newmark Grubb Knight Frank. The architect responsible for the project is Brian McFarland of VOA Architecture. 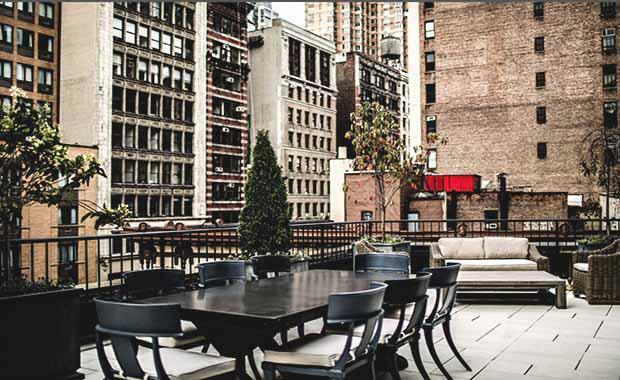 Developer John Lam paid nearly $88 million in 2011 and 2012 to acquire three properties fronting the entire block of Broadway between 30th and 29th Streets, across from the popular Ace Hotel. The developer received approval to demolish the existing buildings on the site late last year. The building will feature Virgin’s prominent red logo and an unabashedly modern building with various blocky sections that will cantilever over each other. The design will create outdoor decks, one with a pool, visible in the renderings. The retail stores will be big and glassy, lining the projects bottom level and will be in stark contrast to the currently humble stretch of Broadway. The leaked design plans show a building that appears to be significantly more attractive than typical new hotels in the NoMad neighbourhood. The hotel is set to be a milestone for NoMad, which continues to evolve into a destination for both New Yorkers and tourists. At one point, the firm considered constructing two different hotels on the land parcels, but now it will be one, larger Virgin Hotel. Construction is slated to begin in 2015.